Sir Walter Alexander Raleigh (1861-1922) was Regius Professor of English Language and Literature at the University, 1900 to 1904. He was awarded an LLD in 1906. Born in London, Raleigh stayed in Edinburgh with his uncle, Lord Gifford (1820-1887) while studying at Edinburgh Academy. He graduated BA from University College, London in 1881 and in 1885 obtained a second class in the historical tripos at King's College, Cambridge. He was a President of the Cambridge Union. In 1885 Raleigh was appointed the first Professor of English Literature at the Mohammedan Anglo-Oriental College in Aligarh. He was invalided home in 1887 and in 1889 he was appointed Professor of Modern Literature at University College, Liverpool. He held the Regius Chair at Glasgow for only four years, before going back to Oxford as Professor of English Literature and a Fellow of Magdalen College. Raleigh was knighted in 1911. 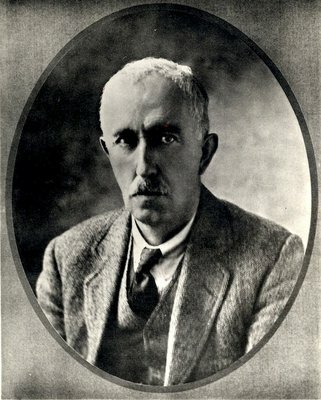 Although he spent most of his academic life writing about English Literature, he produced a number of books and pamphlets about the First World War and his best-known work is probably The War in the Air: a History of the Great War Based on Official Documents (1922). Born 5 September 1861, London, England.